United Gilsonite Laboratories is please to announce the appointment of Dr. Paul Cheetham to the position of Vice President of Science and Technology. Cheetham comes to UGL with an extensive resume which includes international/global experience. Paul will be a collaborative and integral member of the Executive Management Team at UGL and will be responsible for enhancing the company’s value proposition by directing and coordinating all aspects of technology, quality control and the customer support team. 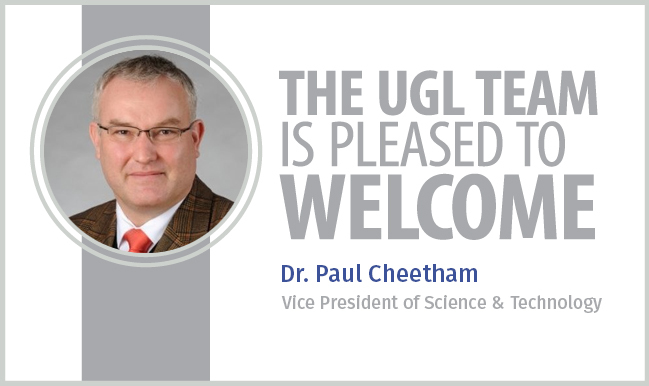 We welcome Paul to the UGL family and thrilled to have him on our team.